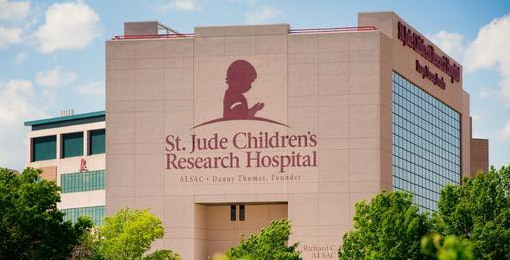 As of January 2013, Stratosphere Networks—a nationwide provider of IP telephony and Information Tech solutions—was excited to become an ongoing contributor to Saint Jude Children’s Research Hospital. The company singled out this particular research hospital for their outstanding performance to provide treatments to children facing catastrophic illnesses. Ranked one of the best pediatric cancer hospitals in the country, St. Jude is the FIRST and ONLY National Cancer Institute- designated Comprehensive Cancer Center devoted only to children. "At Stratosphere, we place a high value on collaboration, teamwork and the pursuit of cutting-edge solutions," said Managing Partner Steve Melchiorre of Stratosphere Networks. "We are proud to support an organization that works so diligently to expand and share knowledge, and empowers families to take an active role in the care of their children." May 2012—Stratosphere Networks, and IT managed service provider had signed on as a Gold Sponsor for the Greater Chicago Food Depository’s 6th annual CANstruction® event. CANstruction® has been part of the many events hosted by the Greater Chicago Food Depository and celebrates the talents of local architecture, engineering and construction companies, while filling the food banks with thousands upon thousands of pounds of food. "We are proud to be a Gold Sponsor of Chicago CANstruction® 2012," said Gary Peeke, Vice President of Sales at Stratosphere Networks. "It is exciting to be part of a long-running event in our area that plays a huge part in ensuring that the food bank is fully stocked."